Mitchell Todd, 51, was charged with making criminal threats following a dispute over money with a customer, who had hired Todd's company for his son's funeral. 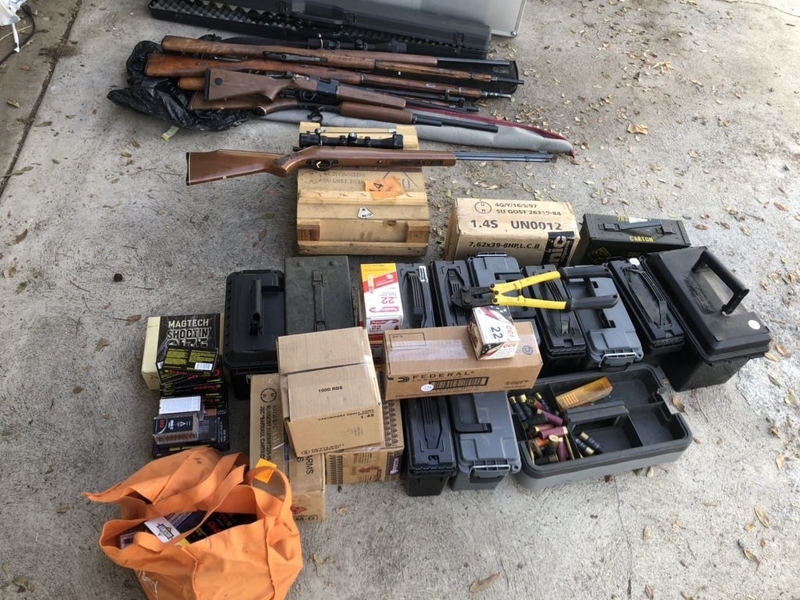 Nazi memorabilia and more than 50 firearms were found during the arrest of a 51-year-old man who owns a dove-release business in Huntington Beach, California, police told BuzzFeed News. Mitchell Todd was arrested Tuesday on charges of making criminal threats following a dispute over money with a customer, who had hired Todd's company for his son's funeral. "Once payment was not made, they got into a verbal dispute," Sgt. Jim Cota said. "At first it was just normal adults talking, but then it got into the criminal element because of things the suspect was saying to the victim." Todd made threats that "alluded that the victim needs to go be with his son, that he should go join him," Cota said. In a voicemail Todd left for the customer, police were also able to hear the "very distinct sound of when you pull the slide of weapon," Cota said. Todd owns and operates Orange County White Dove Release, which primarily works with weddings and funerals. According to its website, it has also provided doves for television shows, including The Bachelor, TLC's I Want THAT Wedding, and Bravo's Shahs of Sunset. 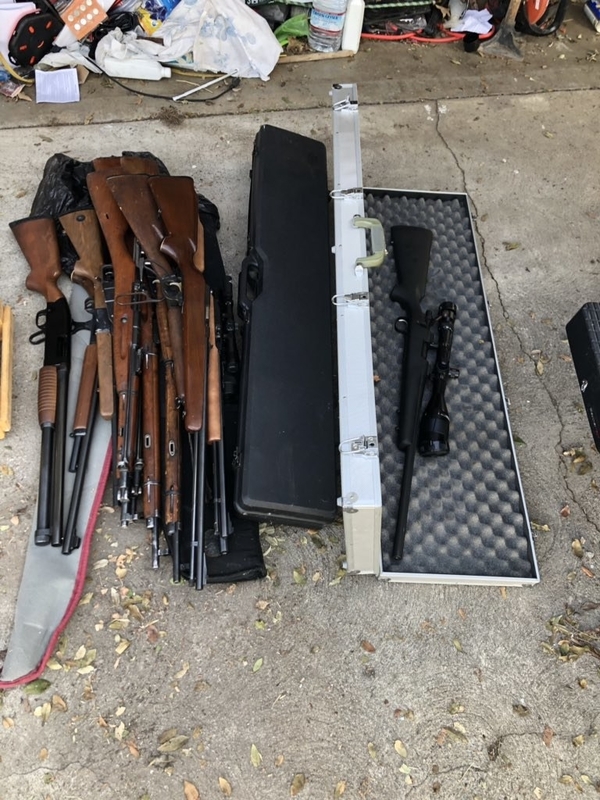 Upon searching his home on Tuesday, police uncovered more than 50 firearms, 12 of which were registered to Todd. 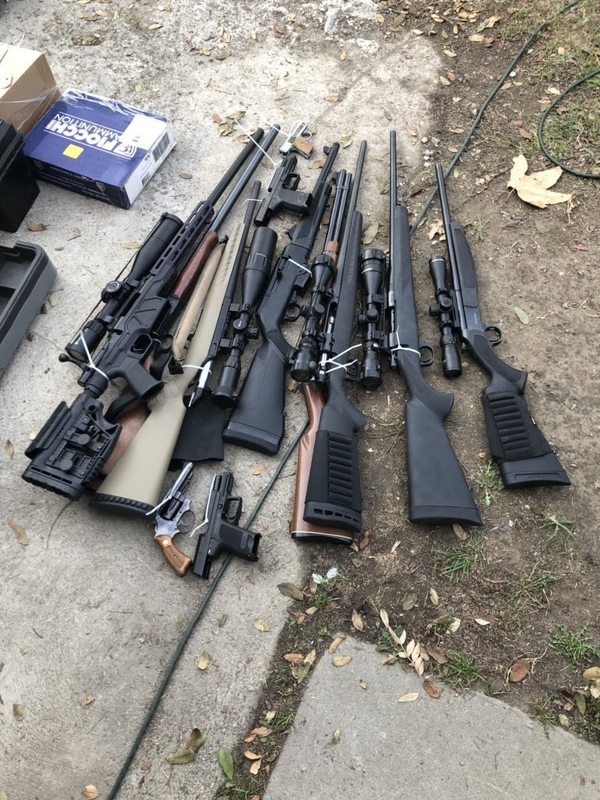 It is not yet known to whom the other firearms are registered. 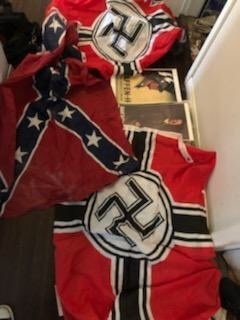 Police also found "a couple pieces" of Nazi memorabilia, including a photograph of Adolf Hitler and a Nazi flag. They also found a Confederate flag. It is not yet known whether Todd is affiliated with any hate groups, and police are investigating that as a possibility. 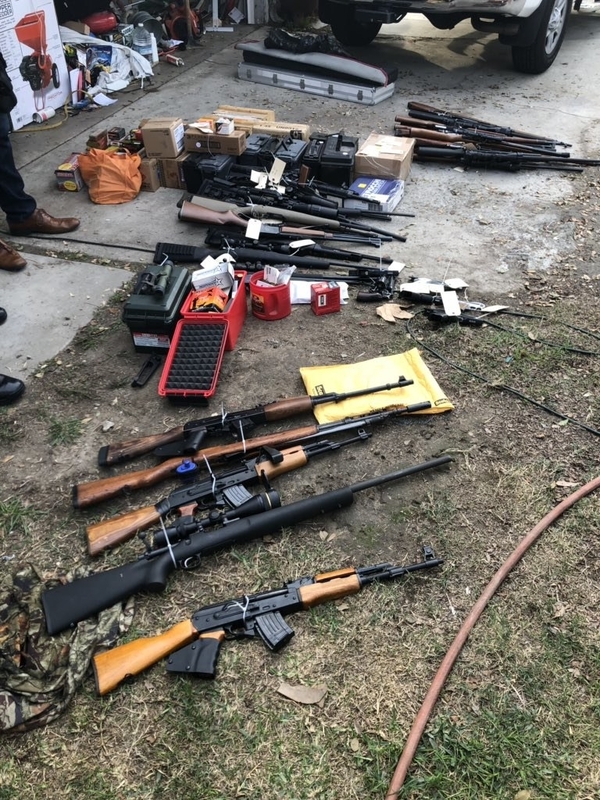 "We need to find out whether or not [these items were] in his possession for art purposes or whether he’s tied into some sort of a hate group," Cota said. Todd was arrested Tuesday night on charges of making criminal threats and is undergoing a psychological evaluation. The doves are doing fine and are now being cared for by a relative, police said.